Our Client based in the Donaghdee area has an immediate requirement for painter and decorators. Your duties will include painting/decorating interiors on commercial properties. There will also be some defect work. Valid Construction Skills Register (CSR) card or equivalent. Must have own tools and equipment. Own transport is desirable . Valid experience in a similar role is vital. For more information or to discuss in confidence, please contact Rachel Crangle at CSR on 02892627488. Alternatively, to apply, click on the link below. Crescent Specialist Recruitment (CSR) is an equal opportunities employer and we welcome applications from all sections of the community. 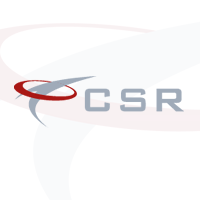 Crescent Specialist Recruitment (CSR) operates as both an Employment Agency and Employment Business on behalf of our clients.